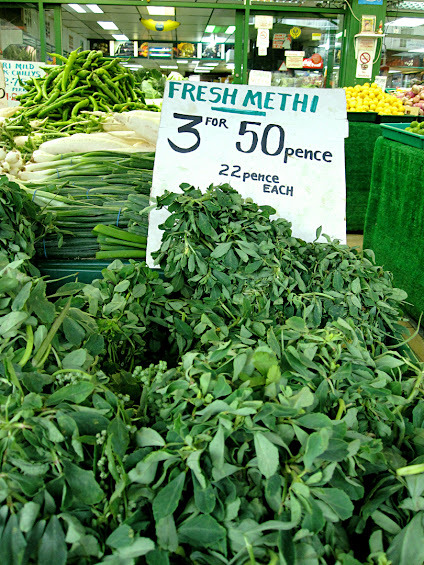 Indian Cuisine Tutorials: Ingredients - Fenugreek - Simply Fahad-istic! This is Post No. 7 in Indian Cuisine Tutorials series.A new one each day! 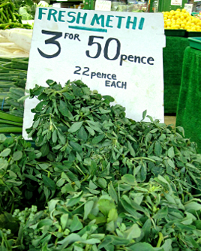 Dried fenugreek is used as a herb,like in Butter Chicken.Often,it is also used as a substitute of fresh fenugreek,particularly when fresh fenugreek is not in season.However,since dried fenugreek has a stronger flavor and is much more aromatic than the fresh variant,its quantity must be reduced when used as a substitute. 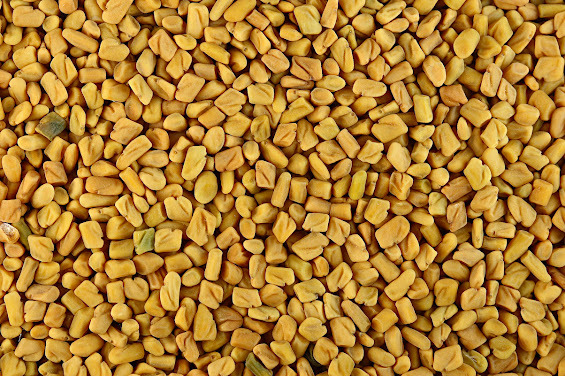 As shown in the below picture.Notice their cuboid shape and yellow color.Fenugreek seeds are called 'Methi Dana' in Hindi,and are a commonly used spice in Indian cooking.The taste is bitter,but they are flavorful and aromatic.Used in Indian pickles,curries and lentil preparations.Fenugreek seeds are an essential part of panch phoran,the Bengali spice mix.